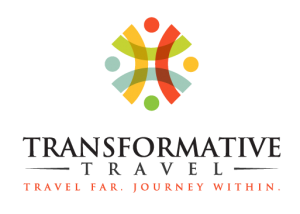 Transformative Travel LLC – Travel Far. Journey Within. TRANSFORMATIVE TRAVEL OFFERS MEANINGFUL AND EXPERIENTIAL TRAVEL PACKAGES, HANDCRAFTED BY PASSIONATE AND SEASONED EXPERTS. WE SPECIALIZE IN CUSTOMIZED JOURNEYS, ADVENTURE TRAVEL, WILDLIFE EXPLORATIONS, & RETREATS THAT CONNECT TRAVELERS DEEPLY TO THE NATURAL WORLD, RICH CULTURES, BEAUTIFUL COMMUNITIES, AND MOST IMPORTANTLY, THEMSELVES. Get an inside look into what goes into creating Transformative Travel experiences. We make travel transformative by dissolving assumptions through authentic cultural exchange. We reaffirm “coming home” to the natural world, and foster stewardship for all living beings. Our journeys strive to connect travelers to amazing locals who offer deeper meanings found in distant places. We honor and share local indigenous wisdom. We provide opportunities to gain optimum holistic health and confidence in your physical abilities through expert guidance. Finally, we are creating conscious communities by assisting others in expanding their world view.